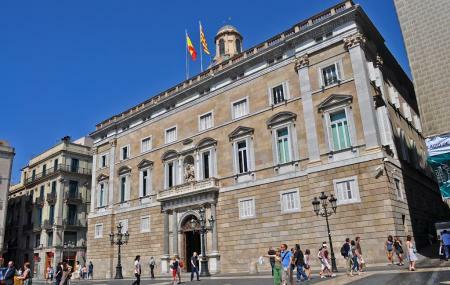 City Hall or Casa De La Ciutat is one of the most historically enriching places in Barcelona. It’s a big complex which houses the historic Great Hall, or Saló de Cent today. Even in the olden Rome, this hall used to house two biggest politically prominent spots. Today, it still continues to be of utmost prominence as a place where significant meetings take place. This place was designed by Pere Llobet in the 14th century and has stood the test of time. You can explore a lot more by visiting the tourism center downstairs in the Great Hall. The ticket price vary depending on the shows. By Meter: L1,L3 and get off at CatalunyaPasseig de Gracia; L2, L3, L4. How popular is City Hall? People normally club together Palau De La Musica Catalana and La Boqueria while planning their visit to City Hall. I was watching Flamenco performance, 💘 from the back rows (I had a great view whatsoever), astounding performance, very good acoustics, seats were just a bit too close to each other, but the staff were really friendly and a glass of sangria was very delicious and refreshing. Would definitely recommend. Had a great time. The typical dances show was amazing. Good dancers and music, reflecting a piece of the Spanish culture in an accurate and beautiful way. The only thing is that people have to get the included drinks before and during the show, they won't give drinks afterwards. If you are a tourist searching for an unforgetable might, this is your place. I enjoyed it a lot. Very nice people. Nice place, went for a Flamenco show. Dancers were absolutely incredible and showed real passion and talent when performing. Nice cultural thing to do when in Barcelona.